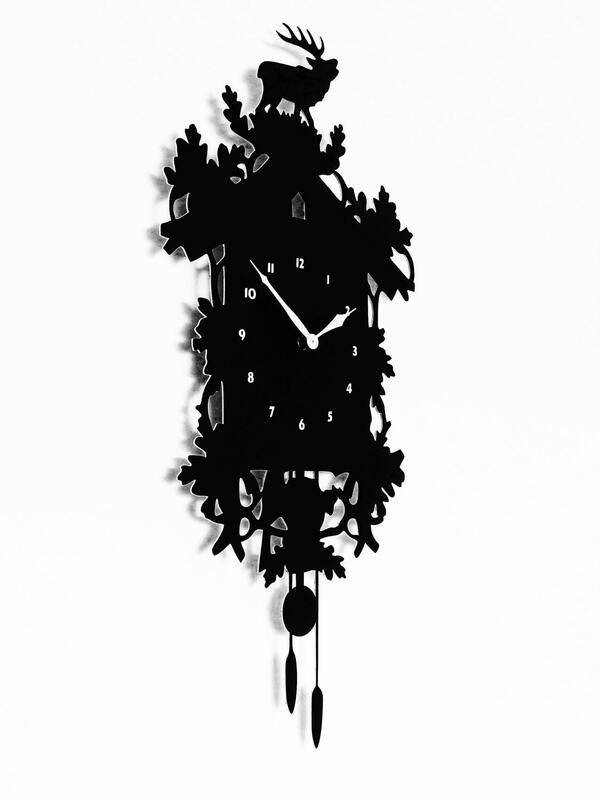 This wall clock is a modern yet classy take on the traditional Cuckoo Clock. It is ideal for any interior environment with modern or industrial design. With its simple but elegant design, it will add a touch of sophistication to any area in your house while lending itself well to different color schemes. 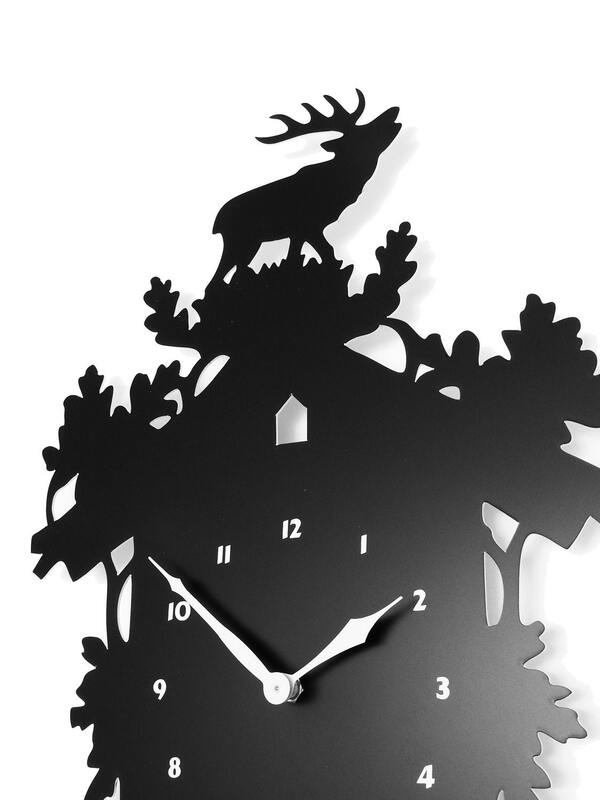 The clock is made of a 3 mm thick acrylic sheet with a matte black finish. The numbers and clock fingers are white. 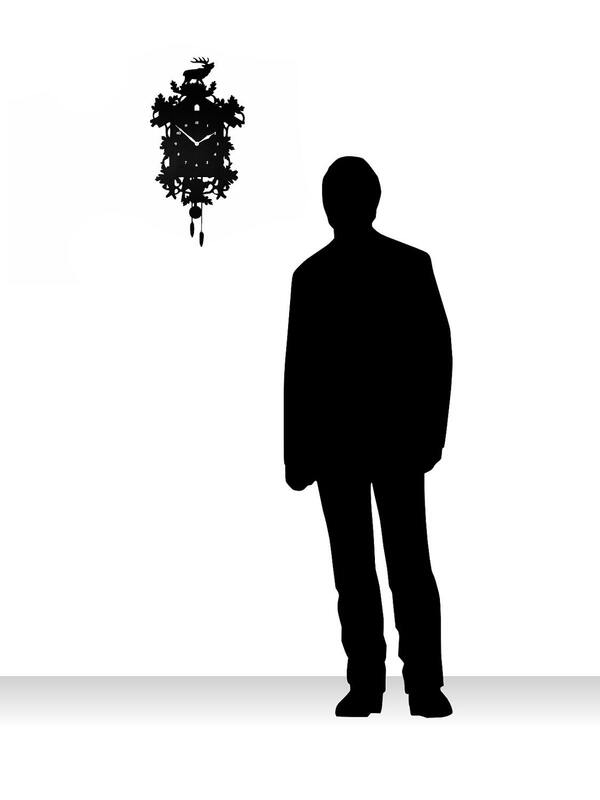 Please note, that there is no bird that pops out as in a traditional Cuckoo Clock. 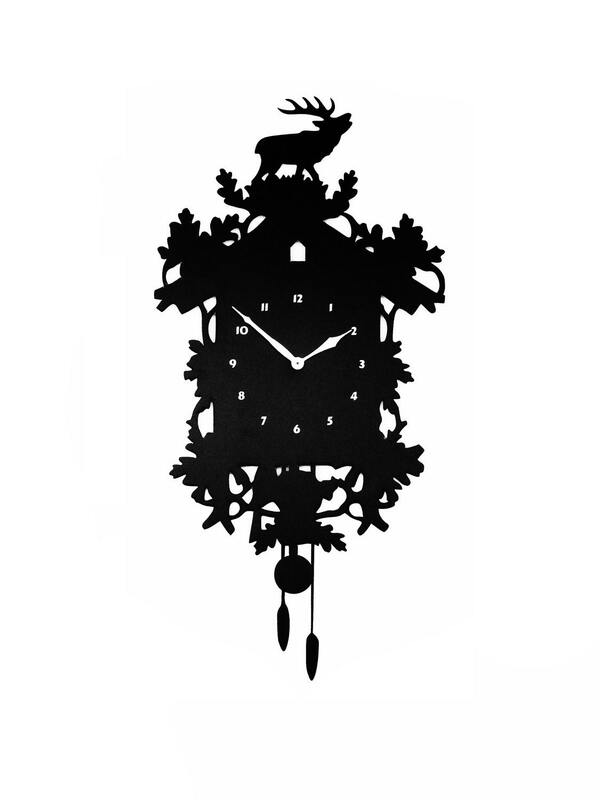 This is a minimalistic design with a flat sheet, in the shape of a traditional clock. The clockwork is included in the package but is not assembled to the back of the clock to eliminate any risk of damage during shipping. The battery, one AA size, is not included. Each clock is laser cut to order, so please allow about 1 week processing time from the date of purchase before your order is released for shipping. Delivery times vary.